LivingRoc USA-The Blog: WE THANK YOU FOR INVITING US IN. WE THANK YOU FOR INVITING US IN. As you come to the end of your amazing journey of rejuivinating your living space, it brings us joy to show off your pictures and share your vision with us all here at LivingRoc. Here is the elegant Spacium Shadow shower base with its generous size of 54''X34". Could you imagine one day installing a shower base made from pure Shanxi Black Granite, sought after by specialist around the world. You may choose either the side or middle drain as shown in this beautiful display. This shower base is built to last a very long time. 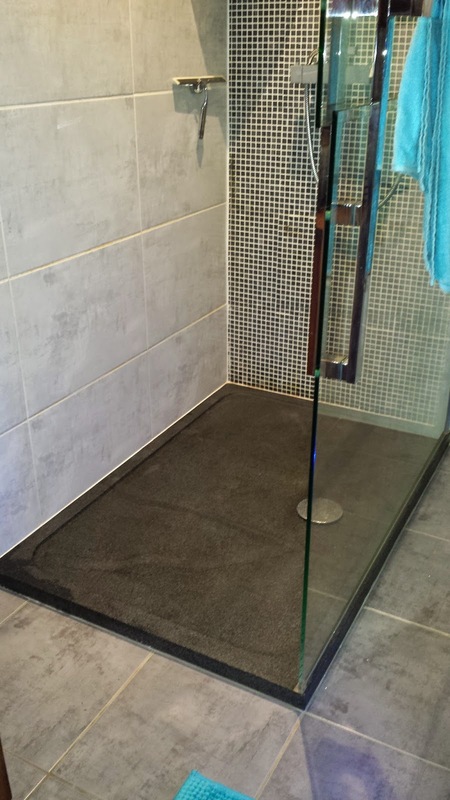 Our natural stone shower base has a proper slope so the water does not stay in the non-slip base. Pure granite aligned with tile and Glass will show you that you may choose from a variety of materials to compliment your piece. We bring your attention to yet another vision, one of pure serentiy. With the Cocoon Sunny oval vessel sink made with Egyptian marble, one can only be swept away to an oasis of elegance, calm and tranquility. Looking like a bird's nest its oblong curves will evoke a place of well-being and healing. This vessel sink at 19"x15"x6" is also functional with its height and its edges allowing a large amount of water in the bowl. 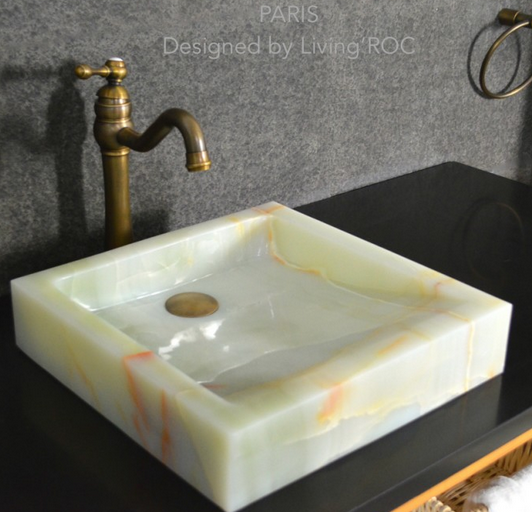 We invite you to visit our site of natural trendy stone products LivingRoc.net to view these and many other beautiful products to transform your home into a vision to be admired. Labels: bathroom, bathroom stone sink, bathroom vessel sink, black granite, black granite shower base, egyptian marble, granite shower tray, grey granite, living roc.net, marble bathroom sink, marble bathroom sink.